I lived at 15 Roffes Lane during the war – the road is off Chaldon Road at the bottom of Clifton Hill. Crossing the road going north is Green Lane, a cinder track made up I think from the coal fires at St Lawrence’s Hospital. 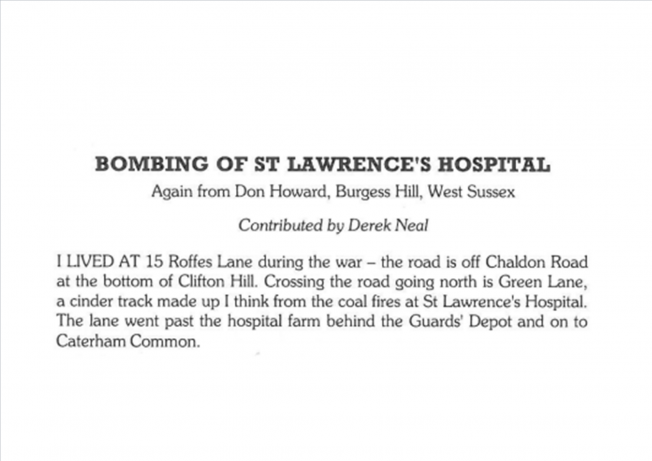 The lane went past the hospital farm behind the Guards’ Depot and on to Caterham Common.